← Townsville Museum goes global. Volunteers at Capricorn Coast Historical Society had a blank canvas to work with when they returned to their former home after more than a year of no access. The Society had to move its entire collection while the new Yeppoon Town Hall was being built next door. Not content to just move everything back in the way it was, these forward-thinking volunteers looked at how to use the limited space more effectively. 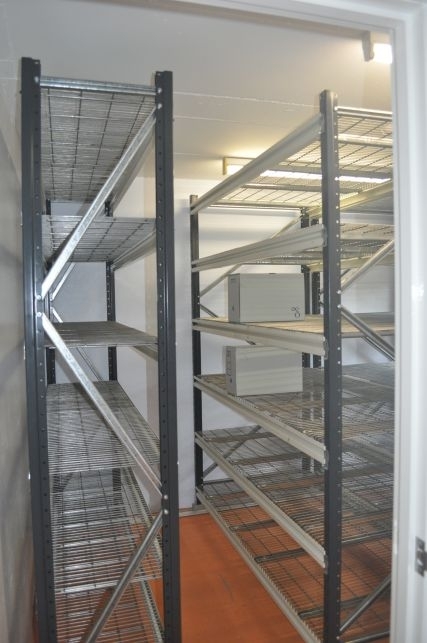 With the help of a National Library of Australia Community Heritage Grant the groupreceived assistance to buy a longspan wire compactus which not only facilitates air-flow but has tripled their storage capacity. An airconditioning unit complete with dehumidifier was also purchased for the archive room ensuring optimal storage conditions in Yeppoon’s hot and humid weather. This is one collection which will no doubt be around for a very long time! Visit the Capricorn Coast Historical Society website to find out more about the group. Posted on 23 July 2012, in Uncategorized and tagged archives, Capricorn Coast, Capricorn Coast Historical Society, Central Queensland, compactus, storage, Yeppoon. Bookmark the permalink. Leave a comment.